Newly discovered fossil evidence from Namibia strengthens the proposition that the world's first mass extinction was caused by "ecosystem engineers" - newly evolved biological organisms that altered the environment so radically it drove older species to extinction. The event, known as the end-Ediacaran extinction, took place 540 million years ago. The earliest life on Earth consisted of microbes - various types of single-celled organisms. These held sway for more than 3 billion years, when the first multicellular organisms evolved. 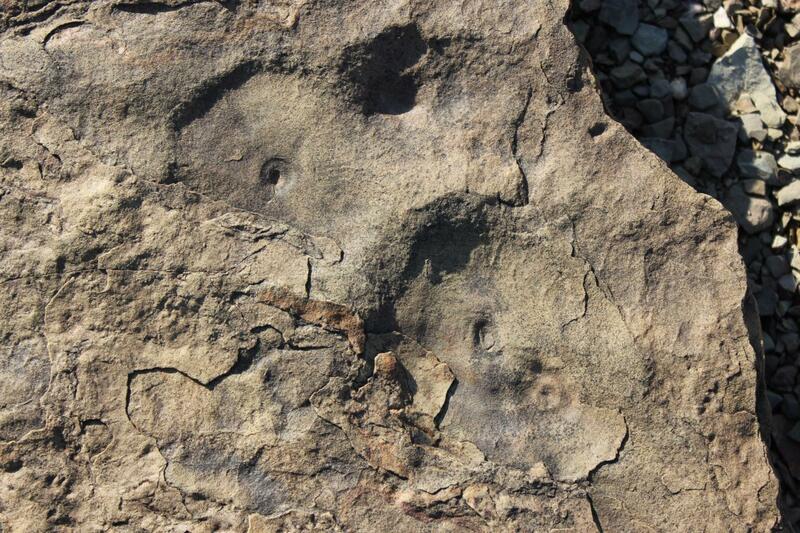 The most successful of these were the Ediacarans, which spread around the globe about 600 million years ago. They were a largely immobile form of marine life shaped like discs and tubes, fronds and quilted mattresses. After 60 million years, evolution gave birth to another major innovation: metazoans, the first animals. Metazoans could move spontaneously and independently at least during some point in their life cycle and sustain themselves by eating other organisms or what other organisms produce. Animals burst onto the scene in a frenzy of diversification that paleontologists have labeled the Cambrian explosion, a 25 million-year period when most of the modern animal families - vertebrates, mollusks, arthropods, annelids, sponges and jellyfish - came into being. "These new species were 'ecological engineers' who changed the environment in ways that made it more and more difficult for the Ediacarans to survive," said Simon Darroch, assistant professor of earth and environmental sciences at Vanderbilt University, who directed the new study described in the paper titled "A mixed Ediacaran-metazoan assemblage from the Zaris Sub-basin, Namibia," published in the journal Palaeogeography, Palaeoclimatology, Palaeoecology. Darroch and his colleagues report that they have found one of the best-preserved examples of a mixed community of Ediacarans and animals, which provides the best evidence of a close ecological association between the two groups. "Until this, the evidence for an overlapping ecological association between metazoans and soft-bodied Ediacaran organisms was limited," Darroch said. "Here, we describe new fossil localities from southern Namibia that preserve soft-bodied Ediacara biota, enigmatic tubular organisms thought to represent metazoans and vertically oriented metazoan trace fossils. Although the precise identity of the tracemakers remains elusive, the structures bear several striking similarities with a cone-shaped organism called Conichnus that has been found in the Cambrian period." 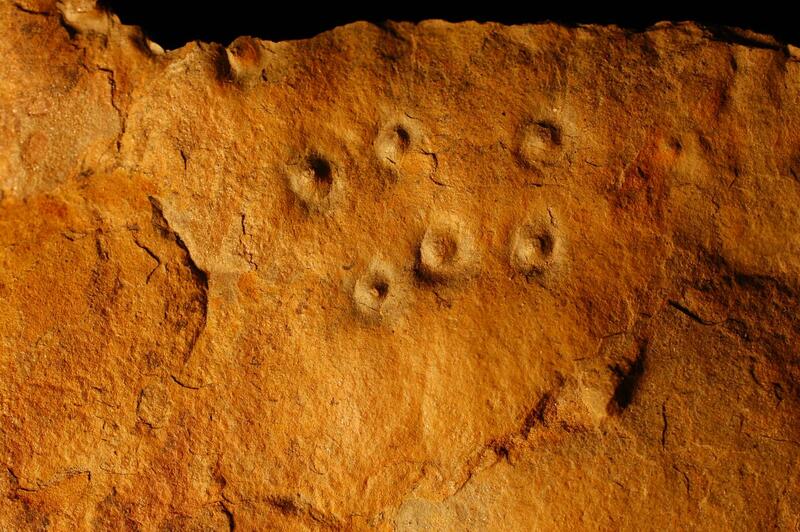 In a previous paper that Darroch and his collaborators published last September, they reported on a fossil record that showed stressed-looking communities of Ediacara associated with a suite of animal burrows. 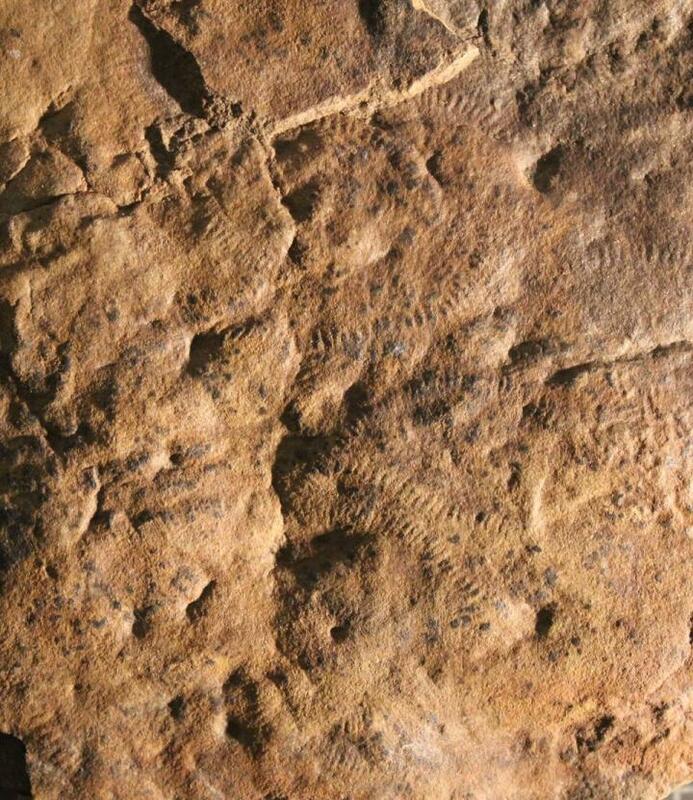 "With this paper we're narrowing in on causation; we've discovered some new fossil sites that preserve both Ediacara biota and animal fossils (both animal burrows - 'trace fossils' - and the remains of animals themselves) sharing the same communities, which lets us speculate about how these two very different groups of organisms interacted," he said. "Some of the burrow fossils we've found are usually interpreted as being formed by sea anemones, which are passive predators that may have preyed upon Ediacaran larvae. We've also found stands of Ediacaran frondose organisms, with animal fossils preserved in place coiled around their bases. In general, these new fossil sites reveal a snapshot of a very unusual 'transitional' ecosystem existing right before the Cambrian explosion, with the last of the Ediacara biota clinging on for grim death, just as modern-looking animals are diversifying and starting to realize their potential." Although Darroch is studying events that took place 540 million years ago, he believes there is a message relevant for today. "There is a powerful analogy between the Earth's first mass extinction and what is happening today," he said. "The end-Ediacaran extinction shows that the evolution of new behaviors can fundamentally change the entire planet, and today we humans are the most powerful 'ecosystems engineers' ever known."